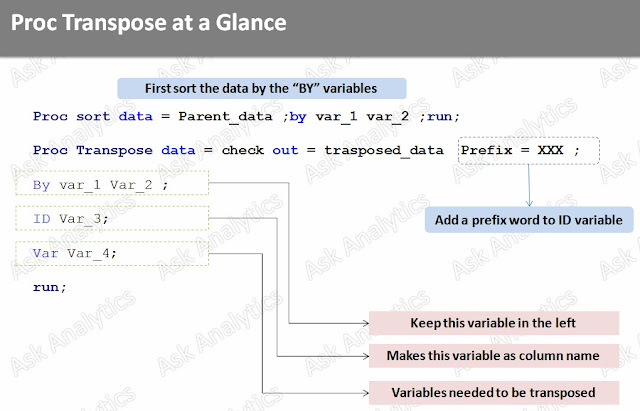 Let's try to learn Proc Transpose in Conjunction with Excel Pivot. 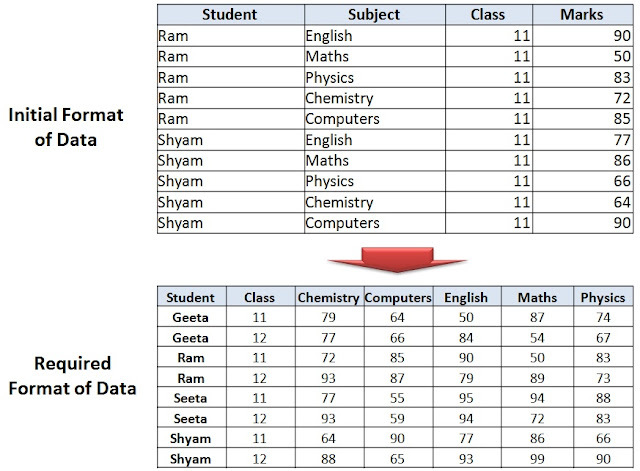 Both Pivot table and Proc Transpose are quite similar in functionality with few differences. Let's not dwell much into difference; learning Proc Transpose in analogy with Pivot would make it easier to visualize and difficult to forget in future. 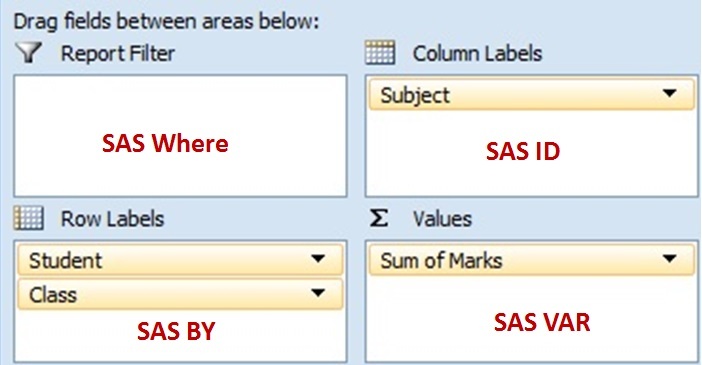 Now let's import the same in SAS. Don't forget to change location as per file location in your PC. 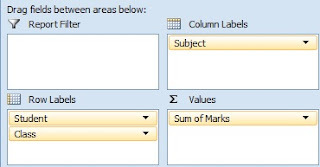 Proc Import datafile = "location\Result.csv"
Let's now open the Result.csv file, select the data and create a pivot table on it. 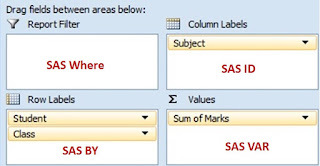 Whichever variables we take in By statement in Proc Transpose (or any other procedure of SAS), we first need to sort the data on those variables in same order (ascending/descending). Also, we can filter the data in proc Transpose, using a where statement. In Pivot we can do it across Row Lables, Column Labels, Report Filter .... using filter. 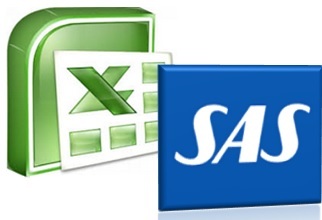 As we are using a numeric variable in ID and SAS name can't start with number, SAS automatically add "_" as a prefix with it. 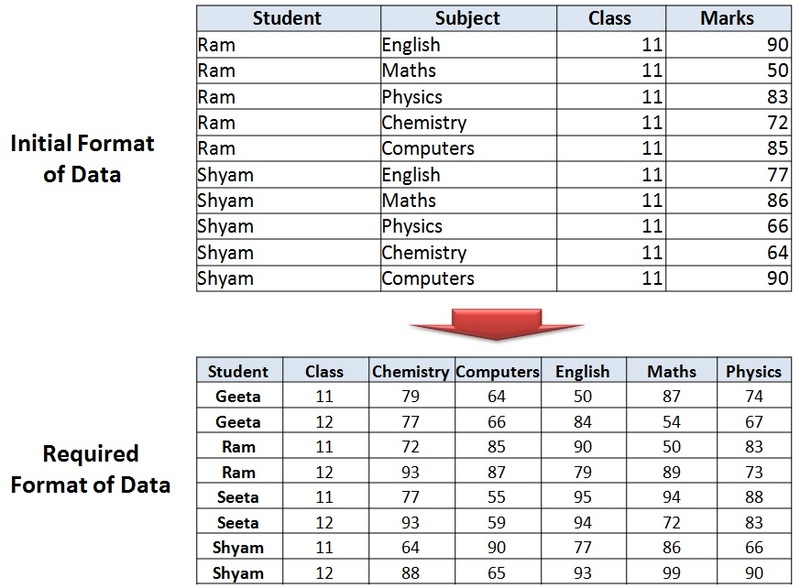 However, if we want to customize it we can do it using Prefix.